Under Armour came under fire yesterday after the company's CEO, Kevin Plank, told CNBC he believed Donald Trump was a "great asset" to the country and that he had "a lot of respect" for his "pro-business" approach. 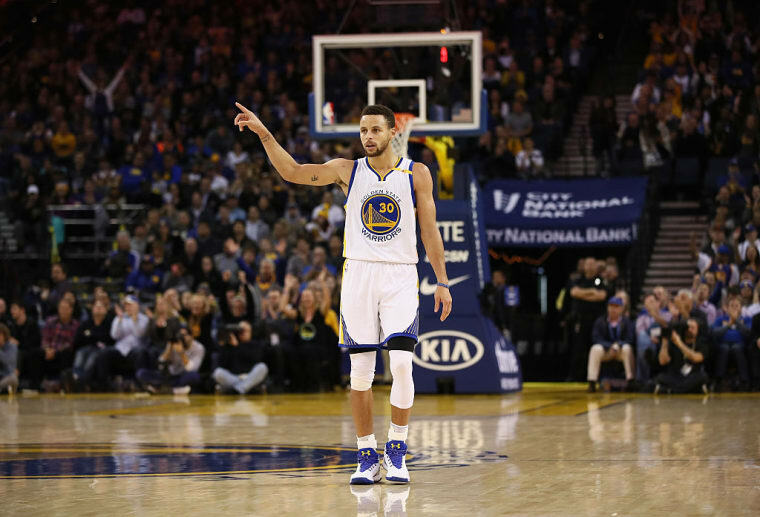 Asked about the comments on Wednesday, Under Armour's banner athlete, Steph Curry, told a Bay Area News Group reporter: "I agree with that description, if you remove the 'et." Curry also noted that he had spent "all day yesterday on the phone," with Under Armour representatives, "trying to understand what was going on and where everybody stood on the issue." The two-time NBA MVP also referenced a press release from Plank, which vaguely outlines how the company's agenda on issues like tax reform and job creation might not necessarily be in tension with valuing "an inclusive immigration policy" or "diversity." "Based off the release that KP sent out this morning, and what he told me last night, that’s the Under Armour that I know," said Steph in response. In their conversation, Plank also apparently distanced himself from Trump's more controversial stances, clarifying that "his comments were meant exclusively from a business perspective."